Lake Effect's Mitch Teich chats with Melinda Myers. With the changing of the season, temperatures are getting colder and plants are facing fluctuating temperatures. Contained plants can be adorned with fall decorations. Container plants can be replaced easily. Plants can be changed out so the pots could have fresher-looking flowers. The plants can be dressed up with accents and decorations. 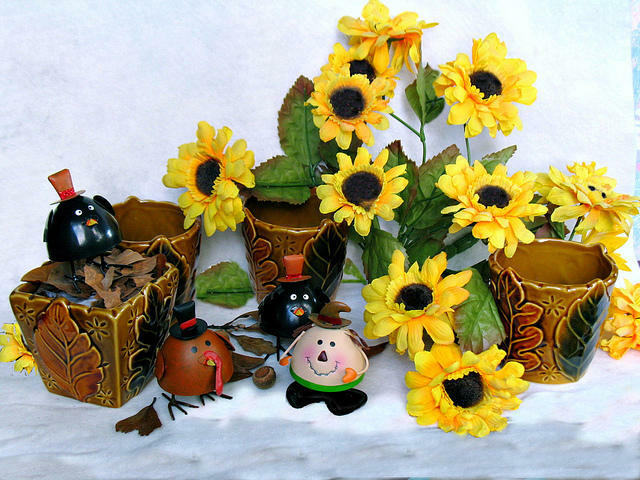 Pumpkins, fall leaves, little haystacks, and other festive decorations can decorate the plants and their containers. Container plants are easy to move around. They can be transplanted into gardens or flower beds, but if it gets too cold, they can be brought inside. Melinda Myers is author of numerous books on gardening, including Month-by-Month Gardening in Wisconsin, and host of Melinda’s Garden Moments on TV and she is Lake Effect's regular gardening contributor.